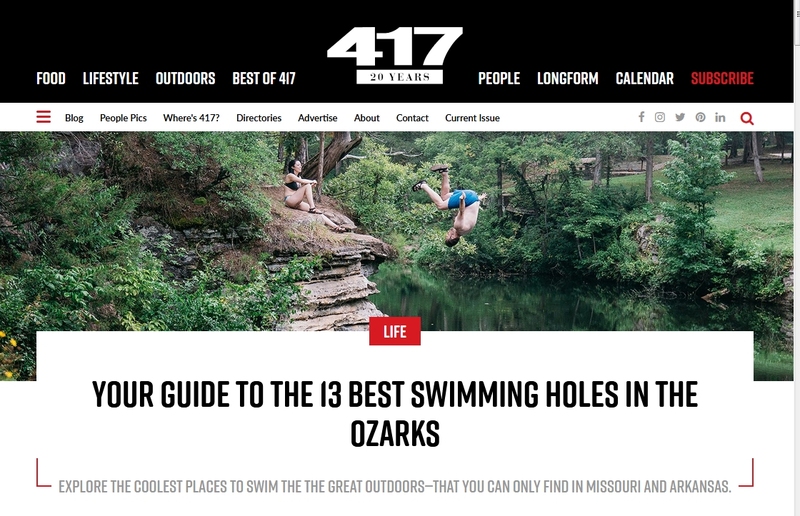 417 magazine has a cover story this month Your Guide to the Best Swimming Holes in the Ozarks. Nearly 40 feet high on the side of a cliff, [redacted] knew instantly that his double backflip into the Buffalo River wasn’t going right. I’m not from around here, so I was not aware the cliff jumps were a thing. I grew up in the projects, where we went wading in the storm water basins, and nobody was going to dive from the overpass into a couple inches of water over concrete. But apparently it is. Although it’s not illegal to jump from cliffs in Buffalo National River Park, ranger Casey Johannsen advised against it because of the risk for injury. It shouldn’t be illegal, of course, but people need to be careful. Strangely enough, the incident reminded me of a book: The Dive from Clausen’s Pier. Between the book, though, and cliff-jumping into an unknown stretch of river, I’d be torn.